Looking for the most snowiest ski resorts and destinations? We have made af Top 10 of the snowsecure ski & snowboard resorts worldwide, in Europe and in America. We have made an Top 10 list, so you can find the resorts with best there gets the most snow in Europe and America. The lists include the best ski & snowboard resorts. Snowfall averages can be fun to compare but should be treated with caution, especially in Europe. This is partly because most alpine readings are taken at resort level and are not always representative of conditions higher up. Here you find the test ski resorts for guaranteed snow. From ski-resort-stat.com’s big database of worldwide ski resorts, we have found the resorts with most snow based on the average snowfall the last 5 years (in meters). The ski resort Beaver Creek is located in Colorado (USA). For skiing and snowboarding, there are 150 km of slopes and 25 km of ski routes available. 16 lifts transport the guests. The winter sports area is situated between the elevations of 2,255 and 3,488 m.”The ski resort Beaver Creek is located in Colorado (USA). For skiing and snowboarding, there are 150 km of slopes and 25 km of ski routes available. 16 lifts transport the guests. The winter sports area is situated between the elevations of 2,255 and 3,488 m.Celebrating its 30th anniversary in 2010, Beaver Creek opened on Dec. 15, 1980, with six lifts and a 45 minute ride time to the top, a “tennis bubble” base lodge and 27 instructors. 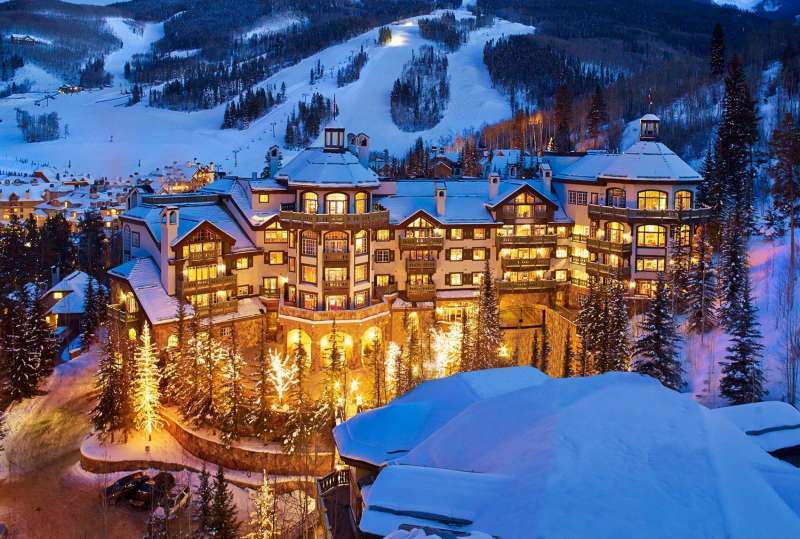 Today, Beaver Creek is a fully developed destination resort complete with three mountain experiences and an army of top read more pros at its Ski and Snowboard School. From heads of state to heads of households, it is a place that people visit to leave the world behind, offering privacy, an intimate mountain setting and is recognized for providing arguably the best guest service in the world with the promise of “Not exactly roughing it”. The ski resort Breckenridge is located in Colorado (USA). For skiing and snowboarding, there are 153 km of slopes available. 23 lifts transport the guests. The winter sports area is situated between the elevations of 2,926 and 3,914 m.
Breckenridge is the highest village and highest ski resort in Summit County, Colorado. 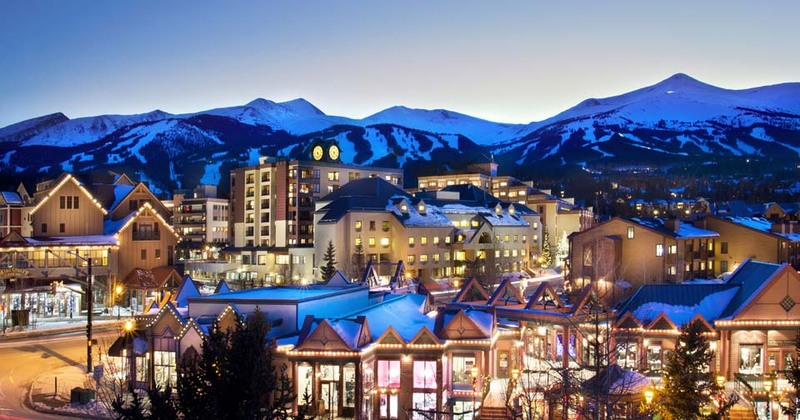 The village is located at 2926 m and the lifts lead up to 3914 m. The town of Breckenridge with its Victorian style, welcomes guests from all over the world every year. The ski resort begins with easy forest aisle runs and gets steeper and steeper heading up to the bowls, which makes it interesting for advanced skiers as well. The ski resort Vail is located in Colorado (USA). For skiing and snowboarding, there are 234 km of slopes available. 25 lifts transport the guests. The winter sports area is situated between the elevations of 2,457 and 3,433 m.
The Vail ski resort is one of the most famous ski resorts in the USA. It lies in the middle of the Rocky Mountains. The modern elegance and the timeless style of the holiday village is intertwined with the lifestyle of the former West. The ski resort Aspen Mountain is located at Aspen Snowmass (USA, Colorado). For skiing and snowboarding, there are 103 km of slopes available. 8 lifts transport the guests. The winter sports area is situated between the elevations of 2,422 and 3,418 m.
The Aspen Mountain ski resort is located directly in Aspen where advanced skiers have had their territory since 1947. More than half of the slopes are difficult and easy slopes can not be found. 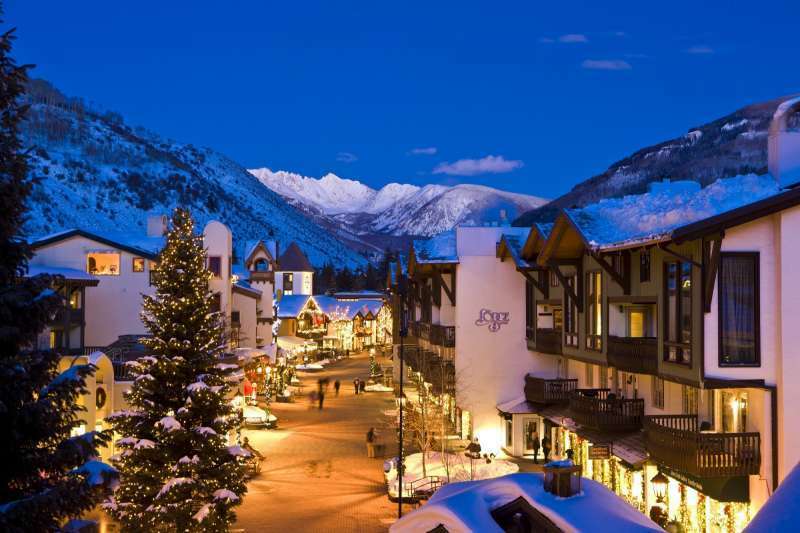 The ski resort Aspen Highlands is located at Aspen Snowmass (USA, Colorado). For skiing and snowboarding, there are 135 km of slopes available. 5 lifts transport the guests. The winter sports area is situated between the elevations of 2,451 and 3,559 m.
The Aspen Highlands ski resort is not far away from Aspen. The beginners have fun in the lower part and the upper part belongs to advanced skiers. With its many difficult bowls, it is an ideal area for the advanced skiers. 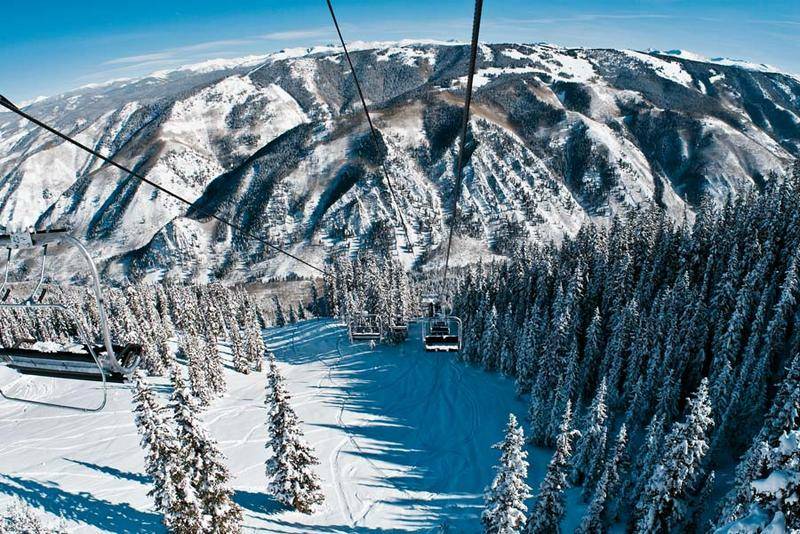 The ski resort Snowmass is located at Aspen Snowmass (USA, Colorado). For skiing and snowboarding, there are 237 km of slopes available. 17 lifts transport the guests. The winter sports area is situated between the elevations of 2,473 and 3,813 m.
Snowmass is the largest Aspen ski resort and is located 12 km from Aspen. 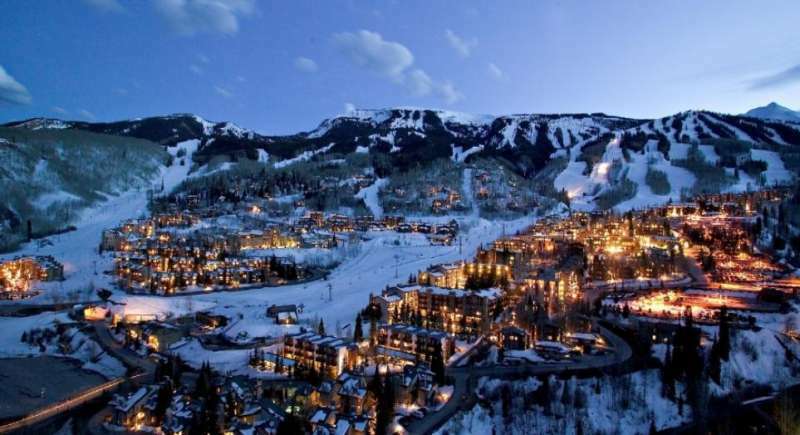 The Snowmass Village, with its many hotels and restaurants, is located directly at the ski resort. The lifts connect you to the slopes of Snowmass ski resort right from the Village. The ski resort Steamboat is located in Colorado (USA). For skiing and snowboarding, there are 165 km of slopes available. 17 lifts transport the guests. The winter sports area is situated between the elevations of 2,103 and 3,221 m.
The ski resort Keystone is located in Colorado (USA). 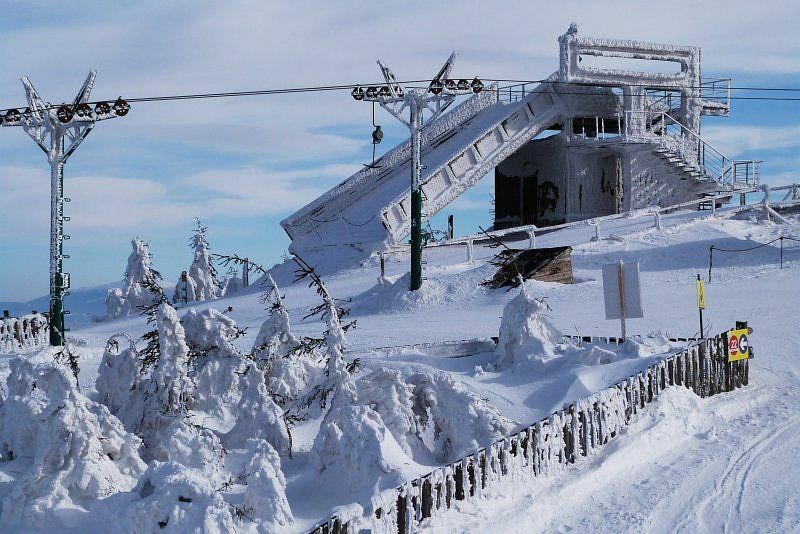 For skiing and snowboarding, there are 135 km of slopes and 100 km of ski routes available. 14 lifts transport the guests. The winter sports area is situated between the elevations of 2,835 and 3,651 m.
The Keystone ski resort is nestled harmoniously into the Colorado Rockies and the visitors enjoy the balance between nature and culture. 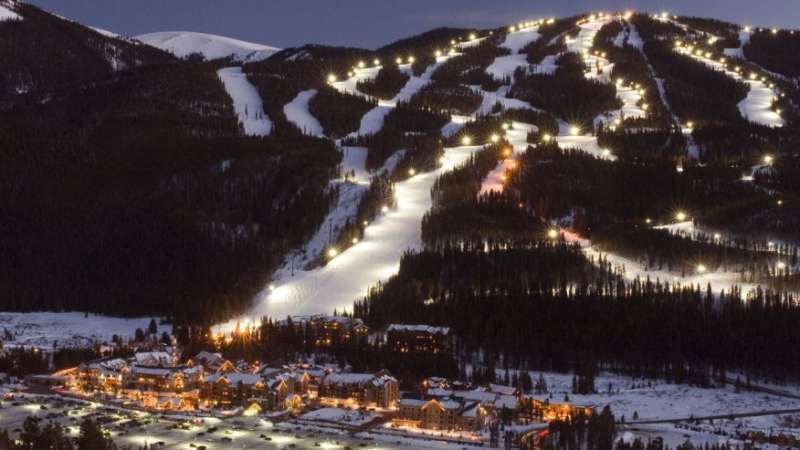 The night skiing and snowcat skiing at Keystone are very popular. The ski resort Northstar California Resort is located at Lake Tahoe (USA, Western United States). For skiing and snowboarding, there are 97 km of slopes and 100 km of ski routes available. 14 lifts transport the guests. The winter sports area is situated between the elevations of 1,929 and 2,624 m.
Northstar California Resort is excited to become a proud member of the Vail Resorts family. Vail Resorts is the premier mountain ski resort company in the world with Vail, Beaver Creek, Breckenridge, and Keystone in Colorado as well as Heavenly, and now Northstar® Resort, in Lake Tahoe. 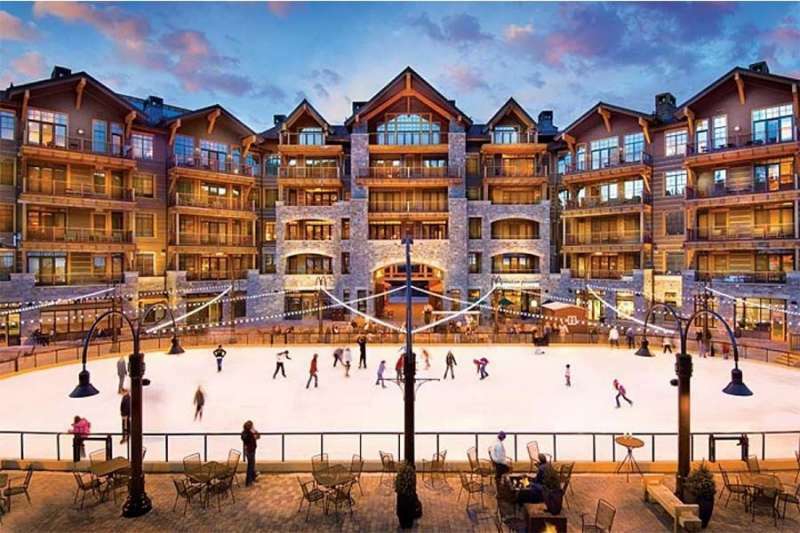 The addition of Vail Resorts further enhances the transformation of Northstar California Resort and North Lake Tahoe to a true world-class destination. The ski resort Heavenly is located at Lake Tahoe (USA, Western United States). For skiing and snowboarding, there are 94 km of slopes and 40 km of ski routes available. 24 lifts transport the guests. 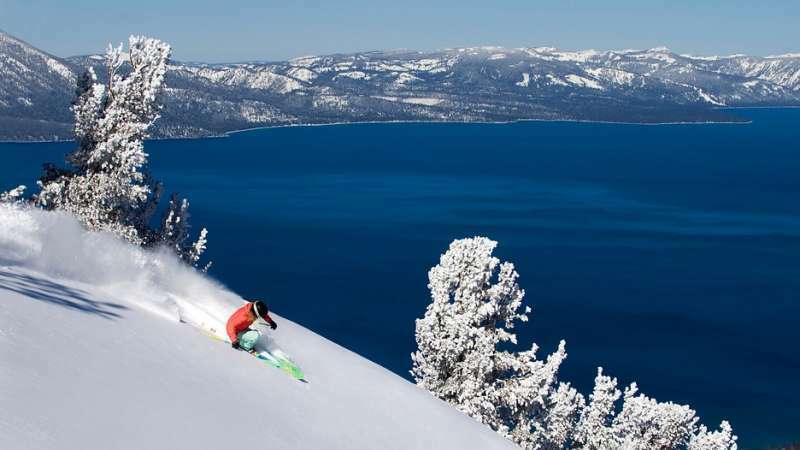 The winter sports area is situated between the elevations of 2,001 and 3,060 m.
Overlooking the sapphire-blue waters of Lake Tahoe, Heavenly Mountain Resort is one of the most unique snow sports destinations on the planet. Enjoy skiing and riding between the two states of California and Nevada on 4800 acres of fantastic terrain! Skiing and snowboarding at Heavenly presents you with a number of different choices from a variety of terrain challenges, to hidden glades, pristine groomers and powder spots galore. Will be avaiable Week 50 2017.